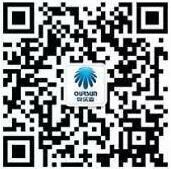 OURSUN NEW ENERGY – JIANGXI OURSUN NEW ENERGY CO.,LTD. 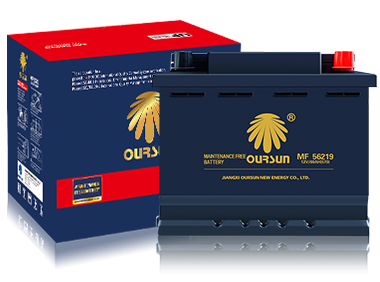 Jiangxi oursun New Energy Co., Ltd is a company specializing in automotive battery manufacturing. 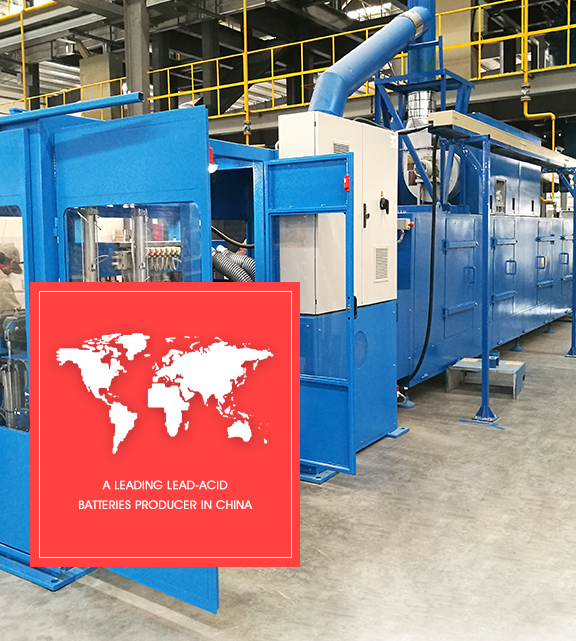 With an investment of 800 million Chinese Yuan, a production base of 350,000 m2, the introduction of full-automatic production line from Italy and the daily output of 40,000 automotive batteries, we are one of the largest and strongest automotive battery manufacturing companies in China. 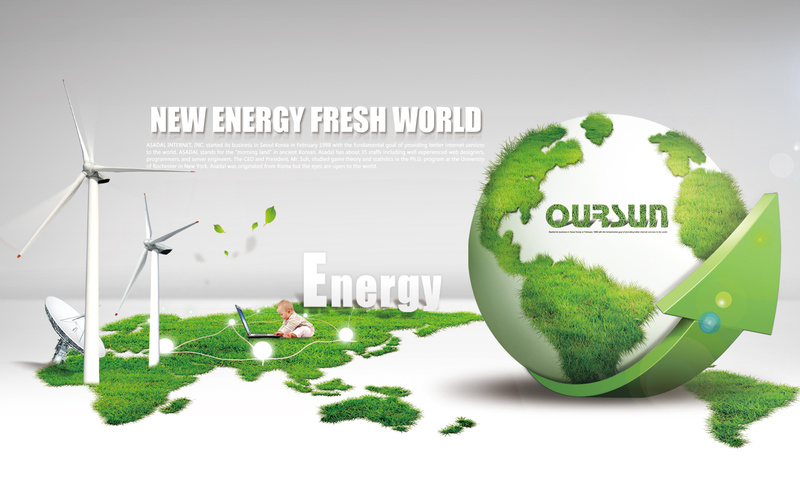 In terms of strategic planning, Jiangxi oursun New Energy Co., Ltd has established sound sales service network covering over 400 cities of China. Meanwhile, foreign markets are also being developed constantly and the products have been exported to Southeast Asia, Mid East, Africa, Europe, America and other regions. 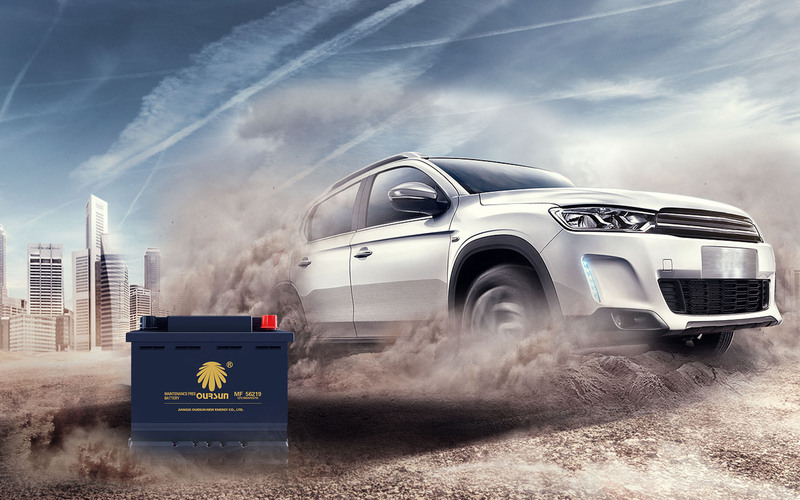 The company acquires several governmental and industrial certifications, and is the provider of multiple renowned enterprises such as King Long, Zotye, Foton, Geely and Zoomlion etc. We have a series of competitive products, including ZTON, WHLI and Zhuli, among which ZTON is awarded CCTV Listed Brand and China Well-known Trademark. Super strong startability and super long-lasting endurance power has become the brand feature and products’ advantage of oursun. 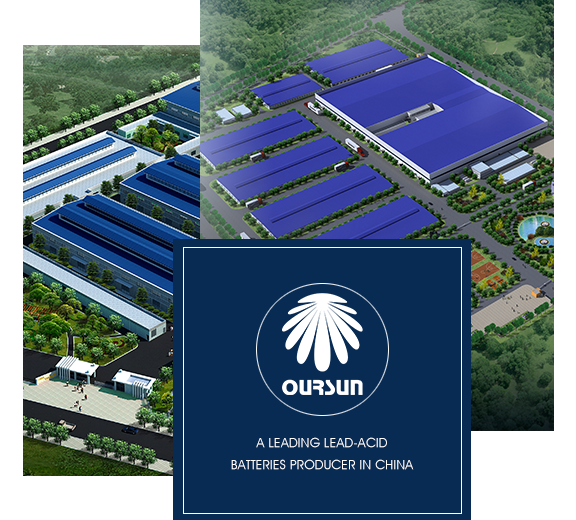 Gaining a foothold in the automotive battery industry, Jiangxi oursun New Energy Co., Ltd aims to grow stronger and pursue excellence, and is devoted to become a leading enterprise in Chinese battery industry. With the courage of forging ahead and striving for the best, we endeavor to provide better products and services for customers at home and abroad. May us establish cooperative partnership and create new glory together! Focus on being a first class brand,OURSUN brand adopted advanced silver alloy technology, possessing the advantages of low temperature start,high temperature resistance and well function performance, earned a high reputation in both domestic and foreign market..
High starting performance and long-endurance form WHLI’S unique characters. 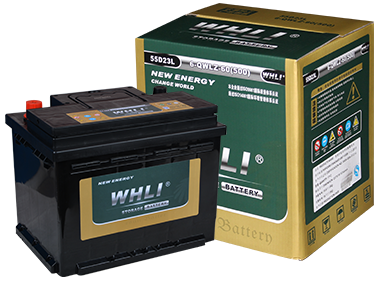 Through the years, WHLI brand was frequently shown at the China Import and Export Fair(Canton Fair), International Auto Part Exhibition and other large-scale exhibitions both at home and abroad, has gained widely acceptance from our consumers. 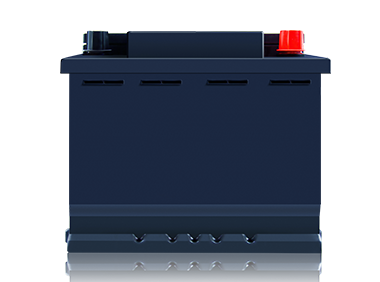 Custom, processing, production of battery brands to meet the needs of a customer. 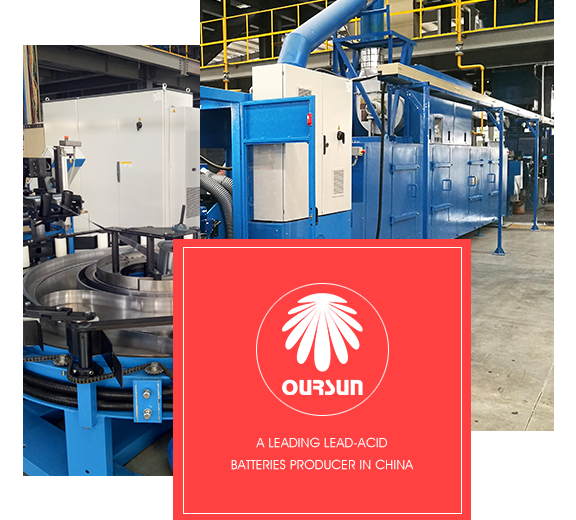 OURSUN introduced the most advanced production lines, which greatly enhance the quality of the product and efficiency of the production , help to achieve intelligent manufacturing. OURSUN Introduced the most advanced expansion lines in the world,Sovema full set of expansion lines, the plate with strong corrosion resistance, compact structure, uniformity, good consistency. Automatic assembly production line, which implemented microcomputer real-time control, equipped with automatic casting technology at the same time ,to ensure systematic manufacturing seamless docking. 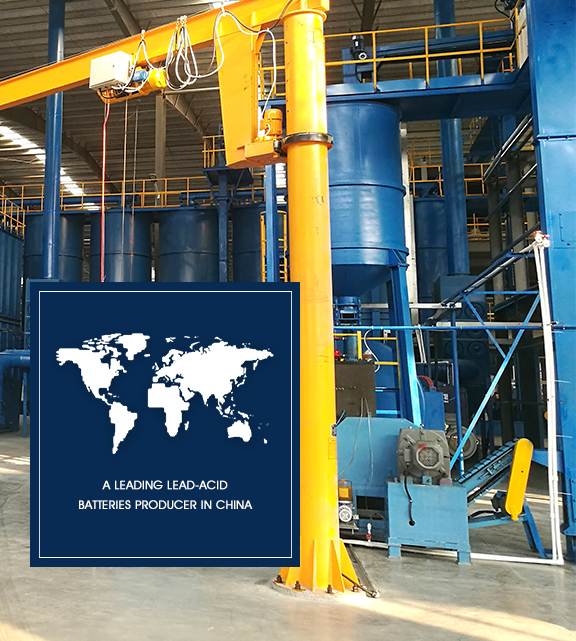 With advanced production system, each line has the computer control, which can strictly control the battery into the depth, charging time, make every battery to reach the best charging status.